I've been a little remiss in my blogging this month (been a bit of a rough ride) but I wanted to help spread the word about another set of awesome charity raffles the folks from NOVA are putting on - Quite a few awesome armies and individual models, including a set of Exodite Aeldari that may look familiar! 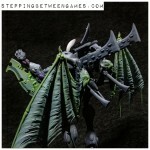 For a mere $5 you can enter for a chance to win these pointy-eared gits, as well as all sorts of awesome other models! The raffle launched on Monday, October 15, and run until November 25, so there's still plenty of time to get your tickets, and the money goes to a number of fantastic causes! Links to the various raffles below! I know this is for a good cause and all, but you do realize that the more you guys advertise this stuff, the lower the odds of me actually winning any of it right? More raffles... Good on you mate. 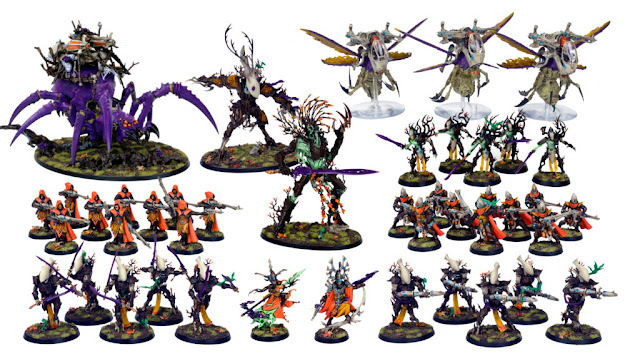 Sad to see those lovely Exodites go - only Eldar that I actually like.